Purchase. Oat Groats/Steel Cut Oats Paste for Rosacea/Seborrheic Dermatitis. 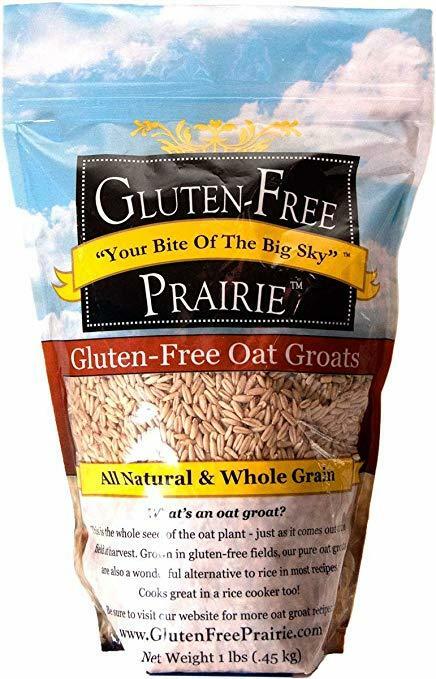 GLUTEN-FREE PRAIRIE OAT GROATS: Oat groats are the whole seed of the oat plant exactly as it comes out of the field. These keto friendly oats are a great source of protein fiber B vitamins & beta glucans a soluble fiber proven to help lower cholesterol. GLUTEN-FREE OAT GROATS COOK LIKE RICE: Try our groats as a substitute for brown rice. They're raw & sproutable not soaked or steamed & higher in protein than most gluten-free grains. They're low glycemic preservative-free & a great source of oat bran. PURITY PROTOCOL OATS: Gluten-Free Prairie is certified by The Celiac Support Association. Our quality ingredients are grown in dedicated gluten-free fields harvested on designated gluten-free equipment & packaged in a gluten-free facility. No Glyphosate. WE'RE PROUD WESTERN SUSTAINABILITY EXCHANGE MEMBERS: At Gluten-Free Prairie we're dedicated to conserving open spaces wildlife habitats and Montana's rich heritage of farming and ranching as well as strengthening the rural economies that support us. WE WORK HARD TO BRING YOU the most delicious products made with certified gluten-free ingredients. Try Gluten-Free Prairie's Oatmeal Montana Mornings Granola Deep Dark Chocolate Brownie Mix and more! Compare us to Pamela's Products or Bob's Red Mill.